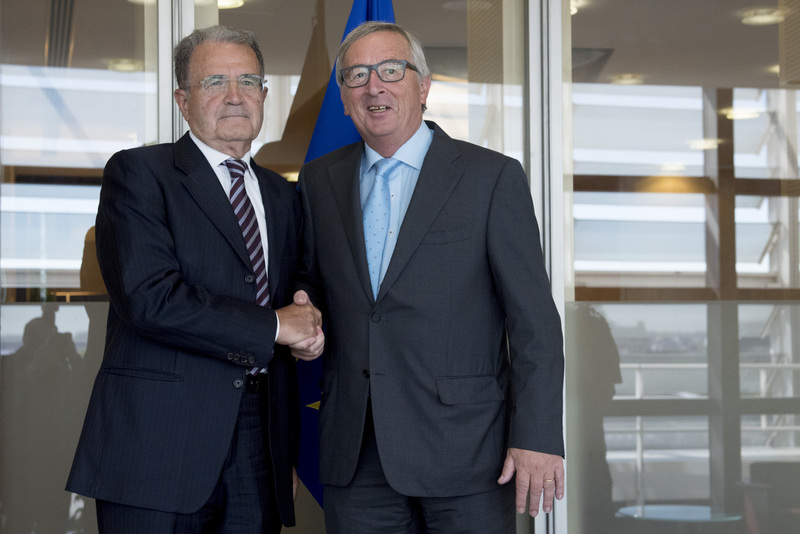 In 2002, European Commission Romano Prodi predicted that the EU would become a “real global player”, capturing an era when the EU was determined to achieve “sustainable stability and security” within the EU. Igor Merheim-Eyre wonders where these aspirations went. Today, the EU lacks leadership, frustration grows within the Union, while increasingly failing to make a positive impact beyond. The result of Britain’s referendum was but one example of this wider crisis. Can this be simply attributed to lack of unity? The problem, as the Bratislava summit nears, is somewhat deeper and more alarming. Drunk on its self-perception, the EU has lost creativity of thought, which threatens the survival of the integration project. Unfortunately, this is not merely a crisis affecting the EU’s policymakers, but also the academic field and think tanks that provides the Brussels elites with tools to think about Europe. Perhaps, at the core of this problem is the fundamentally dangerous belief in the civilising mission of the European integration, thinking which has proliferated in Brussels and beyond. The EU, for its part, has turned into an instrument of obedience and control, victim of its own normative agenda. Where Europe was once supposed to be a project of liberty, it is increasingly turning into a project of subversion. Consequently, there is a lack of critique of the EU integration project as an end itself – its aims, intentions and, above all, the increasing heresy in diversity. The EU has turned into a victim of its own normative agenda. Where ‘Europe’ was once supposed to be a project of liberty, it has increasingly been turning into a dictatorship of thought, by those who spent decades arguing that the enlightened European project will solve issues that sovereign states no longer can. As a result, there is little understanding of the internal and external consequences of thinking about the civilising mission of an ‘ever closer union’ as the only vision for the continent’s future. In this logic, alternatives have no place in Europe. Brexit is an important case. It is not a question of believing in the UK’s exit from the Union, but rather that the argument for ‘Remain’ must be subject to scrutiny. Instead, as we have witnessed quite often over the past months, ‘Leave’ has been perceived as “lunacy” or “suicide”. Perhaps the path chosen by the British people may well turn out to suicidal. However, there is a need to critique the wider belief that simply more integration is the only rational remedy to ongoing crises and challenges – more EU on the external borders, more EU in monetary affairs, more EU in defence policy. Alternatives are sidelined, perceived as either mad or heretical – after all, how could anyone possibly want to willingly live outside this great project without, like Norway, paying a high price for it? It is not that the Leave campaign provided the right solutions (rather the opposite). Unfortunately, a Union set on simply promoting a singular vision of the future (however bright) merely breeds intolerance to alternative visions rather than ‘unity in diversity’, as the EU’s motto claims. After all, as one of the founding fathers, Robert Schuman made clear: ‘Europe will not be made all at once, or according to a single plan’. And what of the European integration project’s external dimension? Potential new members of the Union must conform to EU conditions. This, of course, makes every sense if you wish to join any club, whether this involves a weekly game of squash or a monetary union; but clubs generally provide different membership options, dependent on the willingness of members than the club’s expectation. But what of those who have little or no possibility (or wish) of joining the club? Must they also conform? According to the believers in the primacy of European values, the answer is an obvious yes. As one EU official put it to me not so long ago with regards to the countries of the eastern neighbourhood – “they are our neighbours, and so must be close to our rules”. Our Rules, Our Neighbours. End of conversation. The tragic case of the small Republic of Moldova provides a good example. Locked between the neighbourhood power struggles of the EU and Russia, Moldova’s internal politics is constantly determined by geopolitics. Yet, the country has been highlighted as the star pupil of the EU’s regional programme, and Moldova is the only eastern neighbourhood country to receive a visa-free regime as a ‘carrot’ for its efforts to follow EU norms. Due to EU priority conditionality and financial support, the Moldovan Border Police is, arguably, the most modern government institution in the country, while irregular migration reaching the EU through Moldova is only in double figures. No doubt, a remarkable success when compared to the dire situation in the Mediterranean, where ‘illegal’ migration is in the hundreds of thousands. This, however, is a sharp contrast to its socio-economic and political situation. Marred by emigration, corruption, oligarchy and political instability, Moldova highlights the dangers of limiting relations with its neighbours merely to conformity with European norms and values. Again, perceived as the only possibility for reform, the Union arrogantly disregards the interests and needs of third countries. Consequently, Moldova is left with a state of the art border management, and an oligarch-controlled political system that has witnessed six governments in six years, and €1 billion stolen from its banks. The heresy of diversity from an ‘ever closer union’ as an end, therefore, has major consequences. Within the Union, the democratic exercise exemplified in the UK referendum is sneered at; externally, the EU pushes its own narrowly-defined reform agenda, as the only means of reaching paradise. However, as the Czech priest-reformer Jan Hus (burnt at stake for ‘heresy’ against the Catholic Church) stressed: Obedience is heresy. The EU, in its current state, in much the same way as the Catholic Church of the Middle Ages, it requires not obedience, but resistance by questioning the end mission of a narrowly-defined project. It must be recognised that salvation does not merely exist in Brussels-centred catechism. Resisting does not mean striking down the Brussels leviathan. Rather, it requires the ability to imagine different visions of Europe, playing closer attention to the needs, interests and, indeed, different understanding of how Europe ought to be achieved – recognising that the challenge to its future existence does not lie in diverging voices, but in seeking conformity. Each club needs rules, but these rules are important only as long as they stimulate productivity or creativity. As soon as they seek to control, they become a hindrance and a threat to the system they seek to uphold. As history has taught us, a singular vision of the future can have dangerous consequences. To this extent, however potentially costly, the British referendum should serve as a point of departure for a new vision of Europe where critical voices are not simply ignored. Let us, therefore, put behind crusading and search for obedience. The aim, as we move towards the Bratislava summit, must be to kill the necessity of an emancipatory (civilising) Europe, not only to revive our thinking about Europe, but to make Europe again a relevant interplay of productive and dynamic ideas. Still believe in the EU, very disappointed with Juncker. Hollow man.